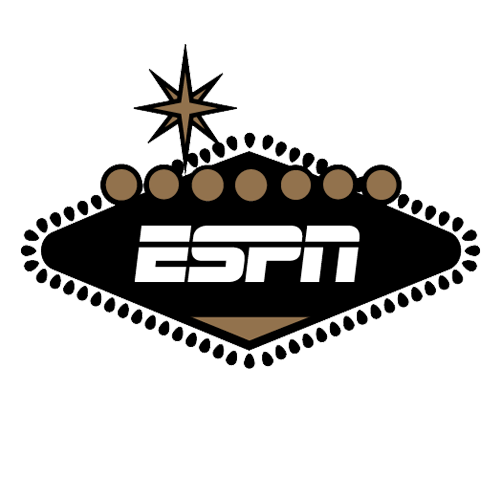 Editor's note: Previous installments of ESPN's special series on the future of sports betting focused on the potential marketplace, the bettors, certain pitfalls and next-generation fantasy. Part five highlights emerging cases of betting fraud -- ghost soccer matches, crooked data scouts, false birth certificates and online sock puppets -- plus the global efforts to combat it. With his blond hair, blue eyes and towering frame -- not to mention a thick Saxon accent -- Marcel Franke was a surprise call-up for the national soccer team of Timor-Leste in Southeast Asia. By any measure, this Portuguese-speaking, half-island nation in the Indonesian archipelago is a long way from Franke's native Germany. Even with improved scouting networks picking up all sorts of gems, the appearance of his name was a bit jarring. Yet according to an online team roster sheet leaked ahead of two World Cup qualifiers in late 2015, Franke was being readied to debut for the country. The only problem? It was all fake. Earlier this year, an investigation by the Asian Football Confederation found that the Timorese football association was using falsified birth documents to assemble a team. Many of the implicated players were from Brazil, and some had doctored passports. Interpol is now involved. Not that Franke, a central defender from SpVgg Greuther Fürth in Germany's second division, knew any of this when his name appeared on that leaked team sheet. As became clear a few weeks later, the leak was a hoax, and Franke was simply unlucky enough to have his name included in the scam. But Franke was far from alone. Other fake social media accounts have emerged like a game of whack-a-mole, ensnaring numerous other players and teams in the region. Was it simply a twisted catfishing prank, or was it part of something more sinister, such as a fake news campaign to perpetuate betting fraud? "What it does indicate is the importance of data and rise of cybercrime when discussing sport corruption and fraud," said Jake Marsh, the head of integrity operations at the sports data group Perform. "It won't just be Wiki[pedia] being manipulated." It isn't happening only on far-flung tropical islands, either. As bookmakers across the globe have discovered, data manipulation for gambling purposes is widespread. Betting fraud has even captured the attention of U.S. sports leagues and a member of Congress. Betting fraud is now an issue on Capitol Hill. This portion of Pallone's draft bill addresses betting fraud, an always-lurking concern in any discussion about the future of expanded sports gambling in the U.S. Integrity of the game issues linked to wagering -- think point-shaving and outright game-fixing -- have concerned sports league stakeholders for at least a century. The rigged 1919 World Series is the most prominent example. In contrast, betting fraud is subtle and sometimes invisible. Unsuspecting gambling operators and duped bettors are victims. In many cases, betting fraud leaves no trace on the field of play, and the sporting event is usually unaffected. Players, coaches, league officials, fans and broadcasters might be completely unaware. Sportsbooks and betting exchanges that don't vet the underlying contests could be in the dark, too. Pallone is aware of betting fraud issues, however. And he isn't alone in his concern. Sports industry executives are increasingly recognizing the problem that betting fraud presents. They know that fans (who watch games they bet on) won't participate if the wagering market is perceived to be corrupt. Indeed, an attorney for a prominent U.S. sports league expressed concern about manipulated gambling markets at a sports law conference last month in Denver. Although betting fraud takes many forms, some types have roots in stock market scams. Others have a decidedly modern origin: social media. Tricks of the trade in betting fraud have long been a feature of the stock market. In a "pump and dump" swindle, traders artificially boost the value of a stock by flooding the market with fake, positive news about a company. Then, when prices are high, they sell their shares. The reverse involves short-selling upon the release of made-up negative information to send a stock's price tumbling. Before Twitter became ubiquitous, investigative journalist and academic researcher Declan Hill noted that soccer match corruptors were "using tactics similar to a fraudulent stock promoter." Here's how such a racket could spread now. Computer-controlled bots across social media could spread fake team rosters with one or two starters scratched. Alternative facts regarding an injury to a key player could be disseminated. Even false weather forecasts could be announced. Although easily debunked individually, a flood of disinformation could prove powerful enough, for long enough, to augment prices and allow those in the know to make wagers. "False trends and momentum can be created to lure in traders," one person wrote in a BetAngel discussion forum. Another person speculated that groups of people could be "working together to control prices." Supreme Court will hear New Jersey sports betting appeal: What's next? The concerns are real, according to two experts. David Walsh, an Australian mathematician who pursued probabilistic betting, says he believes that social media manipulation could be used to shift the odds. But it wouldn't pay off for very long. "All [betting] outlets would be hit by high-frequency traders with a big bankroll," he said, referencing the digital arbitrageurs who have shifted their algorithms from the stock exchange to sports betting. Instead of trying to pick a winner, these traders look for deceptively manipulated inefficiencies in the market -- prices that are out of sync -- then quickly buy and sell in such a way as to ensure some level of winnings. "The most important fact about betting markets is they are self-correcting. When inefficiencies occur, they are ruthlessly exploited." Another expert, a software engineer who spoke on the condition of anonymity, described how the founders of one upstart platform used sock puppets -- fake accounts bent on spreading misinformation -- to artificially inflate liquidity on a peer-to-peer fantasy-oriented portal. The fictitious users were alter egos of the site's operators, concocted to give the appearance of higher activity, the source said. If the made-up users won contests against unsuspecting customers, the winnings were plowed back into prize money pools, according to documentation provided to ESPN. Others are not as easily convinced that such hijinks could impact markets. "Theoretically, a group could try to undermine the market by flooding it with misinformation," said Marsh, Perform's integrity operations chief. However, it "would not be a lucrative long-term strategy, and the match would have to be very low profile" for this to stand a chance of succeeding. "Even then, there would likely be enough information out there to throw serious doubt on the claims being made," Marsh said. "If a fast data company is present at the match, then the betting operator would be receiving match information, including lineups, thus helping to negate any false reporting. "Fast data manipulation would rely heavily on the betting industry either being lazy or negligent." For match-fixers in soccer, certain weak points can be found on the field of play. Buy off a goalkeeper, and you can probably guarantee a goal or two. Get a referee in your pocket, and you can probably script the score. But other betting fraudsters have discovered a far simpler target: the data scout. Data scouts are those who log play-by-play information on location, in real time. They watch the entire game, manually updating the action as it progresses. They are the filter through which all details must pass, and without them, the global betting industry -- especially in-play betting -- would grind to a halt. In the lower tiers of sport, data scouts might be a game's only link to the outside world, and that makes them potentially more valuable than a crooked referee or bent goalkeeper. After all, why go to the trouble of fixing a match when you can simply pay the data scout to delay logging the result long enough to make a strategic bet? All it takes is 30 seconds. It's an extreme form of insider trading, giving scammers enough time to place a bet on an outcome that has already happened. Although it is an easy scam to spot in hindsight -- an unusually large bet placed seconds before the result was logged -- it isn't something that can done by the same scout regularly. But data scouts are easy prey for fraudsters: They make as little as $50 per game, and there is a plentiful supply of them. The problem of data delays is particularly embarrassing for tennis. The chair umpires might themselves be the data scouts, feeding numbers into a touchscreen tablet and, from there, to the gambling world. Recently, tennis umpires from three different counties were banned after involvement in such a scam. "It is deeply troubling but not at all surprising that the risk to the integrity of tennis driven by gambling has expanded beyond players and their entourages to now include umpires and other tournament officials," Richard Ings, a former chair umpire told The Guardian last year. But delayed data are only the start. Fake data from nonexistent sporting events occur, too. Once fraudsters realized they could control the flow of information between the field and the database, it was only a matter of time before fictional matches started to appear. Those are called "ghost games." How do they work? A data scout in some far-flung corner of the world enters a fake game into the system, perhaps with the help of an industry insider, and then logs the phantom match, play-by-play, in any direction the fraudsters require. If no vetting occurs, the ghost game can be picked up by gambling operators who fail to double-check the game's authenticity and offered to customers as if it were a bona fide market. To be clear, documented ghost games are exceedingly rare. Only a handful have popped up in the previous years. Soccer is the most oft-mentioned example. There is almost no possibility of a made-up contest occurring among teams in a top-shelf league or among high-profile college sports. The prospect of a ghost game isn't much of a concern for the NBA or even its G League. Same for the Mid-American Conference, as there is little worry about a fictitious Wednesday night basketball match-up between Akron and Bowling Green being concocted by fraudulent betting syndicates. But at sport's lower tiers -- semi-pro leagues and one-off exhibition events during offseasons -- the chances increase considerably. The potential for betting fraud has probably hit daily fantasy sports as well, according to recent research. In an academic paper published earlier this year, Matthew van Bommel and Luke Bornn found evidence of basketball scorekeeper bias for subjectively judged DFS-relevant stats such as assists and blocks. "These inconsistencies can have far-reaching consequences," the researchers wrote. "Since the NBA daily fantasy contest scoring systems ... rely exclusively on box score statistics (including assists and blocks), scorekeeper behavior has significant influence on these scores." Dan Barbarisi, author of "Dueling with Kings," fears that wrongdoing could extend beyond basketball. "[A]n official scorer," Barbarisi wrote in his recent book, "could be accused of improperly influencing DFS outcomes on judgment-call events like shots-on-goal, or hits and errors." Scorekeeper errors can send traditional betting markets into a spin as well. In March, the final score of a game between Maryland-Eastern Shore and North Carolina A&T was incorrectly recorded as 74-67 instead of 75-65. Maryland-Eastern Shore was around an 8-point favorite at most books. All of these issues have lent themselves to an emerging industry aimed at detecting -- and preventing -- betting fraud. In 2002, economists Mark Duggan and Steven Levitt crunched the numbers on the noble art of Japanese sumo wrestling. They found "overwhelming statistical evidence" that wrestlers were swapping wins with one another to boost rankings. So-called forensic sports analytics has evolved rapidly in the years since that study. By combining a live log of betting odds and play-by-play data with sensitive algorithms, sports data can be used to spot a suspicious match in real time. All you need to watch for is a major difference between where the lines are and where the true prices should be. In Europe, "illogical and obviously suspicious" betting data were used to ban Albanian soccer club FK Skenderbeu from the Champions League. "These betting patterns fundamentally contradict normal betting logic," the Switzerland-based Court of Arbitration for Sport wrote in upholding Skenderbeu's banishment. Multiple U.S. sports leagues, as well as certain college conferences, have embraced the technology. But despite forensic sports analytics' apparent successes, it has limitations. Although big data have enabled analysts to find nefarious statistical fingerprints, getting sports leagues or law enforcement to do something about it can sometimes be a challenge. Why? The underlying data are treated like closely guarded secrets. The fraud detection models are deemed proprietary. Transparency is a reality only for insiders with access. Selective enforcement could ensue. "This is a strong argument for nonexclusive data rights models," Perform's Marsh said. "The more providers that are at a match, the more reliable the information that is going to be coming from it, since it can be cross-checked and assessed more thoroughly." Open-source integrity monitoring might be aspirational, but it isn't the norm today. Exclusive data-rights arrangements and tethered integrity line monitoring deals are viable commercial options for sports leagues and providers alike. The result is increased control over how data are used in the gambling market. Such control is not absolute, however. Although sports leagues seemingly can't stop odds from being offered by gray market Asian betting houses -- where experts say a considerable amount of betting fraud occurs -- they can stem the flow of data to them. Yet for some sports, the value of selling data might prove more enticing than protecting against betting fraud. With the news that the U.S. Supreme Court has agreed to hear the long-running New Jersey sports gambling case, the future of legalized sports gambling will be prominently addressed within the next 12 months. During close to five years of litigation, issues pertaining to game integrity have received frequent mention in the case. If New Jersey is successful, other states will almost certainly join the Garden State in offering regulated sports betting to its residents. Issues of betting fraud will then become more prominent and lawmakers and customers will demand safeguards to be in place. Congressman Pallone's draft legislation may provide a blueprint for them.